This berry cream soda cocktail might be my new favourite drink. 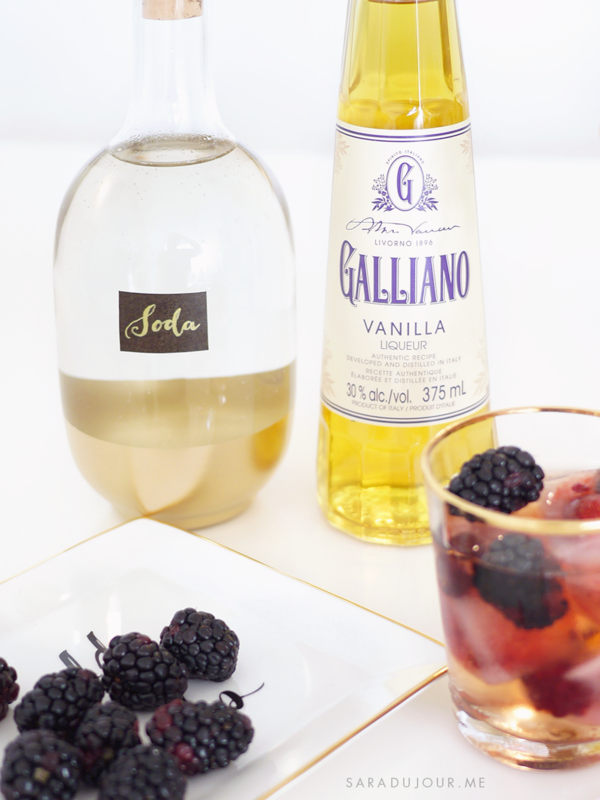 It all started when I discovered Galliano Vanilla Liqueur back in December. I love vanilla everything, from perfume to candles to desserts, so I was fairly confident I’d like this stuff, too. My next task was to design a drink that used it. After some experimentation, the Berry Cream Soda was born. Some people love the taste of alcohol, and enjoy a glass of whiskey or bourbon on the rocks. I’m the total opposite. I like my cocktails as sweet as possible, with the actual alcohol concealed completely. If you’ve got a sweet tooth like me, and like to get your buzzed covertly, then this is the cocktail recipe for you. As the name suggests, it tastes exactly like cream soda! 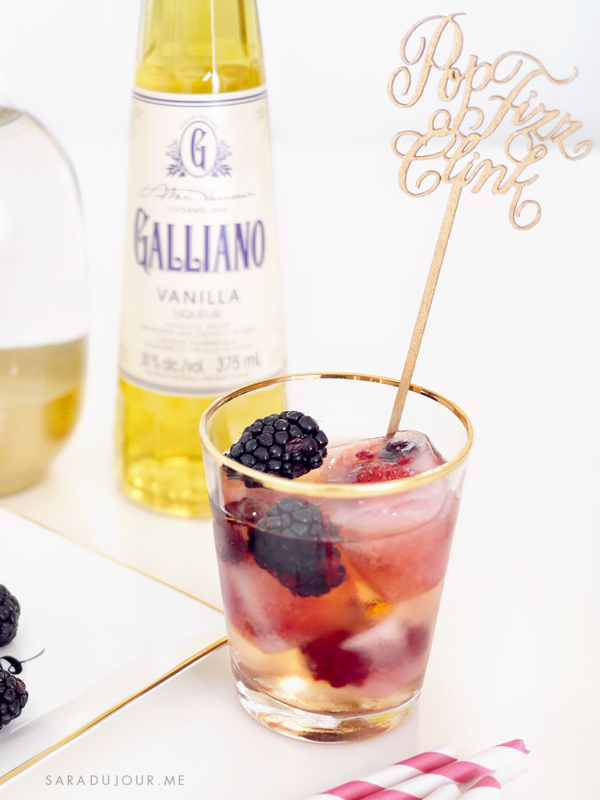 This cocktail is dead simple to make, with two main ingredients – Galliano and soda – not counting the ice and garnish. It’s a party favourite and doesn’t require a lot of time or effort. 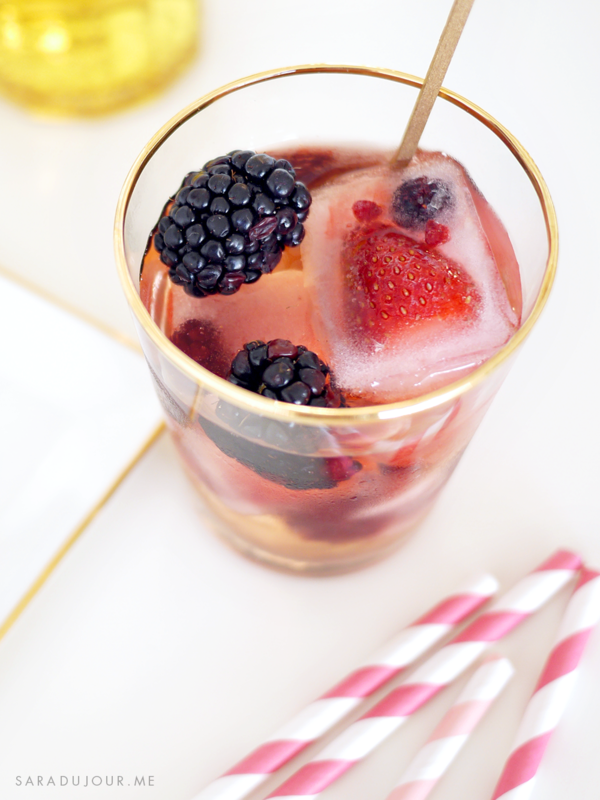 To add an element of flair, I like to make frozen berry ice cubes ahead of time. 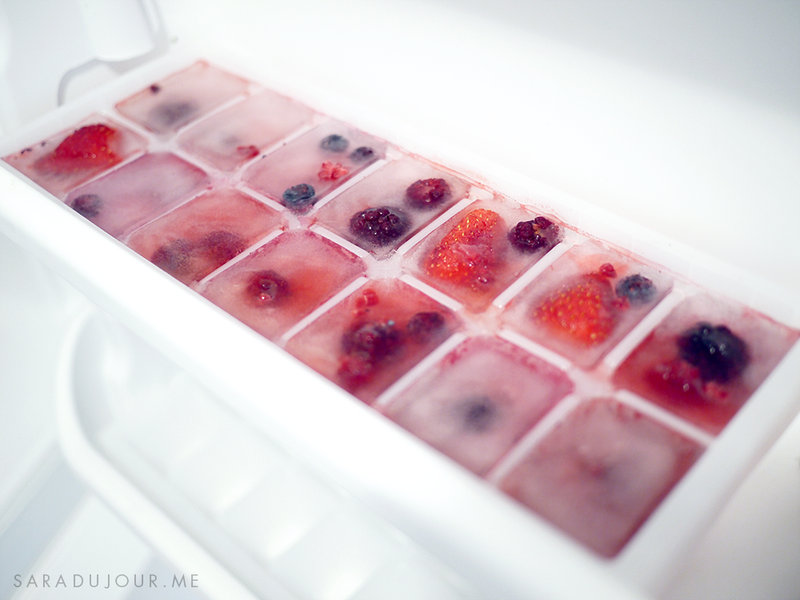 It’s exactly what it sounds like – pop a few berries in each compartment of your ice tray, fill the rest up with water, and freeze overnight. 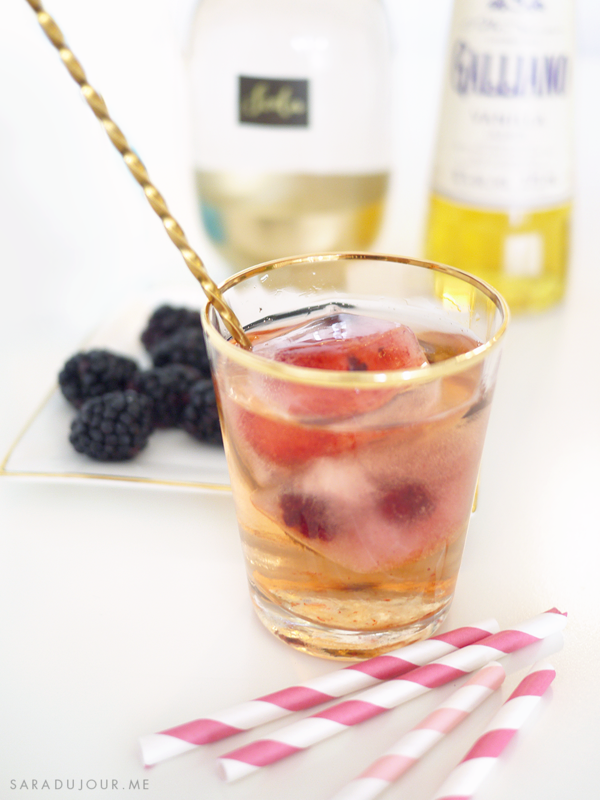 You’re ready to make any drink a little more beautiful, even if it’s just a glass of water. Measure about 1 oz. 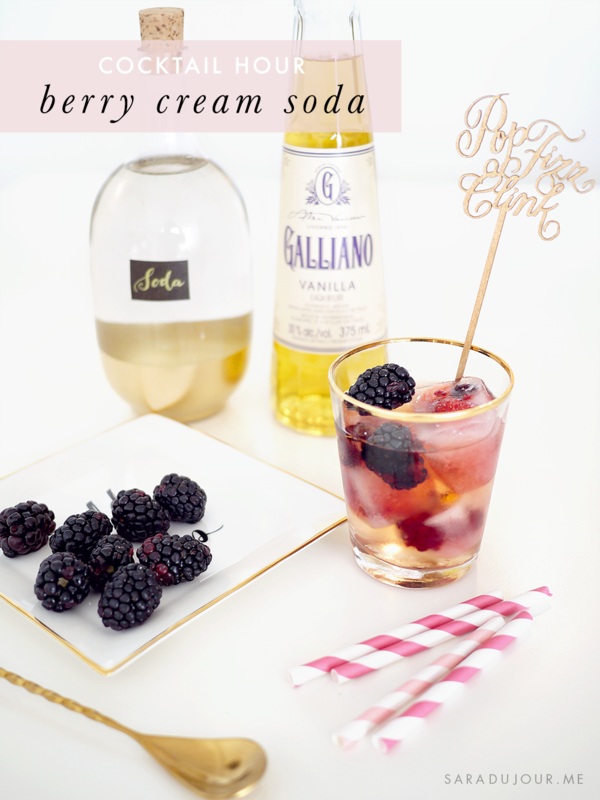 of Galliano and pour it in a lowball glass over ice. Fill up the rest of your glass with either Club Soda or Sprite. Give all of that a quick stir with a bar spoon, pop in a few fresh berries, and voilà! I served these up at my Christmas cocktail party, and they were an easy favourite. We just about polished off the whole bottle of Galliano over the course of the evening!